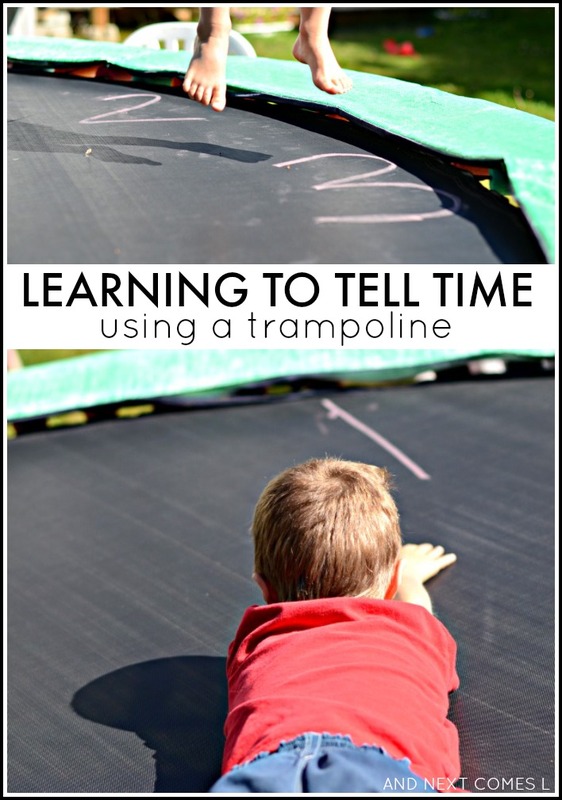 The trampoline that we borrowed has been getting a lot of use, but I noticed that my five year old son J (the one with hypernumeracy) keeps referring to the trampoline as a giant clock. Then he hops around it like the minute hand ticking away. So I decided to take his idea and make it a reality by drawing some numbers to encourage some time telling practice. The practice was more for my three year old since J mastered telling time a long time ago. The kids ended up using their feet and their entire bodies for this simple gross motor math activity to practice telling time. I drew large numbers on the trampoline using the chalk and that's it. J quickly declared that he was going to be the hour hand and asked K to be the minute hand. I also was instructed to be the minute hand and eventually the second hand later on. Anyway, the kids used their entire bodies to practice pointing the hands to the correct time. 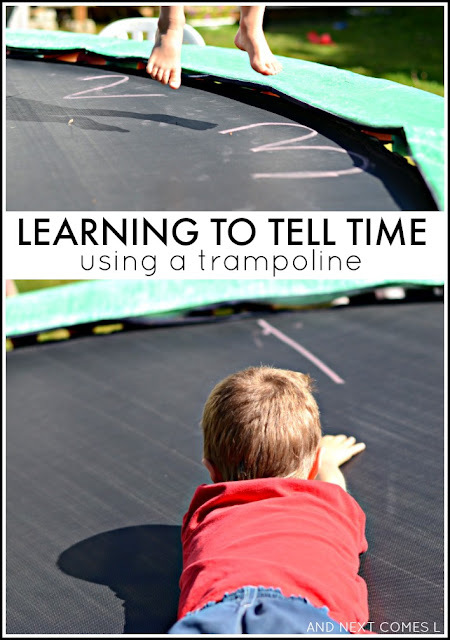 They also jumped around the trampoline clock, saying the numbers and times as they went along. Afterwards, J grabbed the chalk and added some extra things to the clock. You'll see below that he went along and added lines for every minute on the clock.